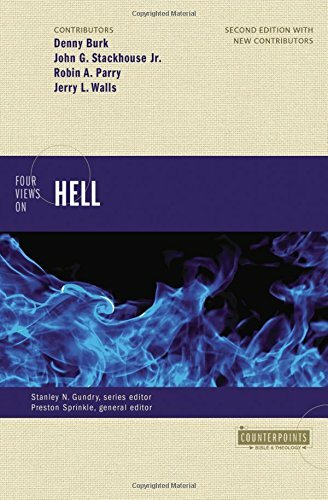 In the first installment of this series, I reviewed Part One of Four Views on Hell, which presented Denny Burk’s defense of what editor Preston Sprinkle calls the “traditional view of hell” as a place of eternal conscious torment, or ECT. This segment deals with Part II, the case for terminal punishment (aka conditionalism or annihilationism), presented byJohn Stackhouse, Samuel J. Mikolaski Professor of Religious Studies and Dean of Faculty Development at Crandall University in Moncton, New Brunswick. “Suffering is what sin incurs and is that which atones for sin,” he explains. “The final result of sin is death (Rom. 6:23), as the fire of judgement purges the universe of the truly mortal remains of those who do not possess eternal life as the gift of God.” So, in contrast to the ECT framework, sin is purged from the universe. However, “God’s wrath against sin is not…ever extinguished.”; “wrath against sin” is an “eternal” quality of God. Debates over biblical exegesis often revolve around the definitions of key words, and in this case, Professor Stackhouse sets forth three critical terms: eternal, destroy, and death. Stackhouse further writes that “[a]n event or action…can properly be called ‘eternal’ because of its everlasting implication.” For example, he reasons that when the author of Hebrews writes of “eternal judgment/redemption” (6:1-2), the acts of judgment and redeeming don’t go on forever, but the results of those actions are everlasting. Similarly, in Mark 3:28-29, the “eternal sin” is not a sin that goes on forever, but one that has eternal consequences. When the Bible refers to death and destruction, Stackhouse argues, “it generally means termination.” Terminal punishment apologists see Edward Fudge’s book, The Fire that Consumes, as decisively demonstrating that the Bible speaks “of the destiny of the lost as termination…eradication, annihilation, and vanishing.” “Psalm after psalm and proverb after proverb” teach that the wicked will “vanish from the face of the earth.” When Jesus speaks of the wicked being “destroyed..cut down and thrown into the fire,” writes Stackhouse, his words need to be understood in these Old Testament terms. Similarly, 2 Peter 2:6 references the utter destruction of Sodom and Gomorrah as “an example of what is coming to the ungodly.” “The wages of sin is death” (Rom 6:23) and death means, if nothing else, termination. The one thing death does not mean is “not dying.” And in Scripture’s final chapter, “[t]he second death” of Revelation 20:14-15 means, ultimately, to disappear, burned up in the lake of fire. One of the reasons why ECT has been the traditional view of hell, Stackhouse believes, is that many Christians “take for granted” that humans have immortal souls. But “immortality is clearly something we must get, not something we already have.” Eternal life is a gift to believers, and the others will naturally vanish from God’s creation. George MacDonald, contemplating the scenario that a sinner might refuse to ever repent, agreed that annihilation would be an appropriate fate; but such a defeat for God seemed to him unimaginable. Nonetheless, I think he’d agree in principle with what Stackhouse writes early in his essay: “Hell is not a destination that God arbitrarily assigns to the recalcitrant sinner. 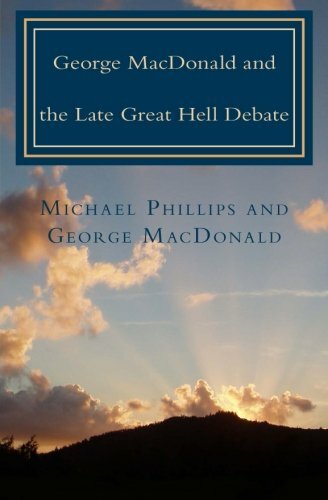 Hell is simply the natural result of a moral agent choosing to separate from God, the source of life, and go some other way…” Cut off from God, not granted eternal life, annihilationists argue that unbelievers eventually wink out of existence. But not for nothing does Stackhouse prefer the term “terminal punishment.” Since they have not sought refuge in the suffering and death of the Christ, unbelievers must themselves atone for their sins through their own suffering and death. “Someone has to pay for our sins; either Jesus does, or we do,” says Stackhouse. 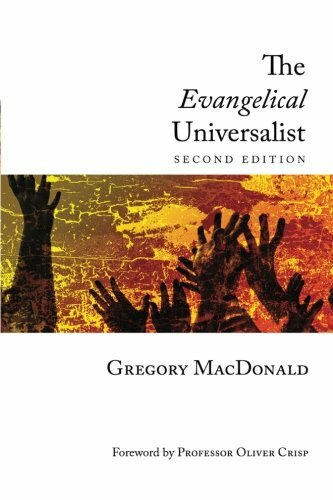 This is certainly a (perhaps the) traditional evangelical view, and it is one MacDonald critiques most forcefully (and perhaps, to evangelicals, most infamously) in one of his greatest works, Justice, from Volume III of Unspoken Sermons. Briefly, MacDonald’s point is that punishment accomplishes nothing in itself; there is no justice in retributive punishment, for justice means the setting of things right. No amount of punishment, no amount of suffering by a wrongdoer before he vanishes from the universe, can make up for the smallest sin. Punishment must be a means to an end, the end being the repentance and redemption of the sinner, which is the only way in which God’s creation can be set right. What then of the punishment, the suffering and death that Jesus endured on the cross? That was indeed a means to an end, for it made possible our at-one-ment with God; not only our salvation, but the redemption of all creation. I note that MacDonald’s critique of retributive punishment of course applies equally to both ECT and terminal punishment. Stackhouse makes a strong case for the Old Testament’s pervasive references to the wicked vanishing from the face of the earth. But he is less persuasive when it comes to the New Testament, where his interpretation of Revelation 20:10 seems strained, to put it mildly. Revelation, however, is a great challenge to many of us; and while Stackhouse’s comments about poetry versus metaphysics probably induce sneers among the ECT contingent, I suspect he’s right. The problem for him, of course, is that once you play the poetry/hyperbole card in interpreting Revelation, you open the door not only for terminal punishment, but for universal reconciliation as well. Professor Burk is, of course, unimpressed with Stackhouse’s arguments. Of course Jesus didn’t suffer for eternity, he thunders. “What would have taken us an eternity in hell to suffer, Jesus Christ endured for us in his painful experience on the cross. Thus, the measure of his sufferings—which included his earning the eternal wrath of God against sin—is the measure of his love for us. To diminish God’s wrath would be to diminish the measure of Jesus’ sacrifice on our behalf and thus our experience of his love.” To Burk, if you don’t subscribe to ECT, you think less of God; although many there are of us who see things just the other way round. Burk scores an interesting point in observing that “…in Stackhouse’s argument the very existence of the damned in hell—even though temporary—leaves the matter of evil still unresolved after the final judgment. In that sense, it extends the “already/not yet” eschatology of the New Testament for ages beyond the final judgment. This is an absurdity…” The problem with that argument, though, it seems to me, is that it doesn’t consider a point that C.S. Lewis and others have made, which is that God’s Eternal Reality is likely outside of our limited sense of space and time. God’s glory requires the suffering of the damned, and the saints will eternally delight in their anguish. What’s at stake here is nothing less than the character of God. The terminal punishment crowd see annihilation as a kinder, gentler alternative to ECT (“entirely commensurate with the goodness of God”); but bothregard punishment in and of itself as an offset for sin, not as a means to a decisive setting of things right, to the restoration of God’s perfect creation. The logical flaws in Stackhouse’s arguments ultimately wouldn’t matter quite so much if Scripture and tradition were both on his side. By his own admission, tradition favors ECT; and, while he does make a powerful Scriptural case for terminal punishment, there are ample verses to support ECT and universal reconciliation, undercutting his claim to have a decisive Scriptural edge. In the near future, we’ll turn to the argument for universal reconciliation, presented by Robin Parry. 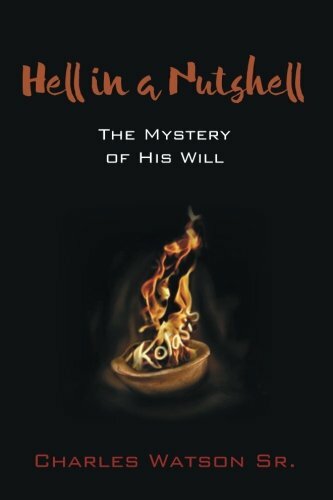 Meanwhile, buy Four Views on Hell, and join in the debate!